54. Help out uncommon backyard birds that need it. Several years ago, a man living in the woods of northern Wisconsin, near Lake Superior, was delighted to report that a Bald Eagle came down to his large platform bird feeder every day for breakfast. Each morning, the man put out a peeled hard-boiled egg, and the moment he went back inside, the eagle flew down from its perch in a large pine tree for an easy meal. Perhaps the eagle had been raised near a campground or a lakeshore where fishermen cleaned their catch, and the eagle had learned to associate people with food, or maybe the eagle somehow figured out that this man was a friendly source of food. 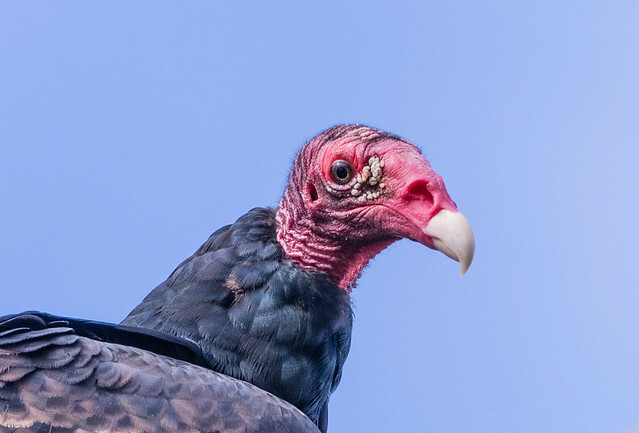 Birds, especially omnivores and scavengers, are surprisingly adaptable and open to learning, particularly when hungry. Of course, encouraging powerful raptors to spend time near people is generally not a good idea for the birds; eventually they’re going to get too close to someone who isn’t so comfortable with their presence. 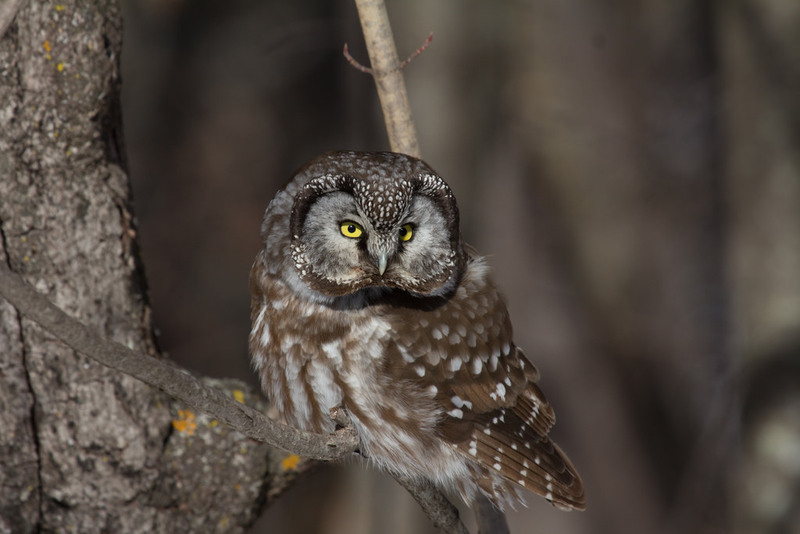 In northern Minnesota where I live, we periodically experience winter invasions of northern owls. Many of them are emaciated, although their dense feathers make them look perfectly fine until they keel over dead. People want to help these owls, so when they find fresh mice in their garage or basement traps, they set them out on their bird feeders or a deck railing for the visiting backyard owls. A surprising number of birds learn to take the mice and even recognize the people providing them. It’s very important to make sure that these mice are fresh, that they were killed in traps rather than boy poison, and that they were healthy before they died. Some people even purchase live mice, gerbils, or hamsters from pet shops for hungry owls, but this is not a good idea. Pet shop animals can harbor many diseases that wild birds have no defenses against. In regions where Sandhill Cranes wander about in residential areas, some people set out buckets of corn just for them. It’s important to make sure that any cracked corn you offer is safe from aflatoxins. 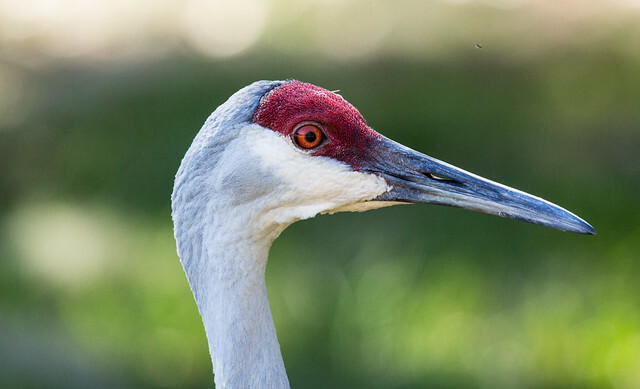 In hot, muggy areas such as central Florida, where a lot of people feed cranes, it’s especially important to take corn and other seeds inside or cover them well when it’s raining. Some people try to entice Great Blue Herons and other wading birds to buckets of minnows or other baitfish. Based on stories I’ve heard from fishermen, herons are already far too willing to take bait that was not intended to be shared. 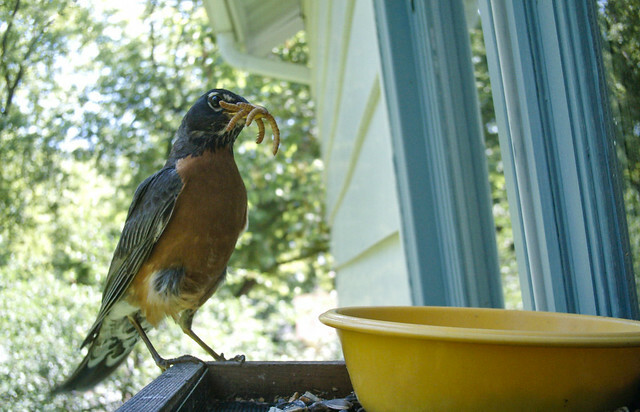 Gardeners frequently develop an acquaintance with backyard robins and toss them earthworms. My backyard robins come to a window platform feeder and eat from a plastic bowl filled with mealworms. I’m not sure how they first discovered the mealworms, which I originally set out for chickadees, but they’ve become regular feeder birds.